In the last session, you learned how to add data on Parse.com and render it on your website. You got familiar with the concept of objects, collections, and views, and created your first class. From this session and moving forward, you will be creating the admin panel of the blog system. 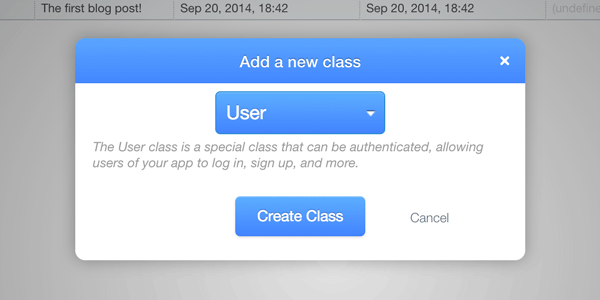 And it all starts with creating a User class and enabling login. Parse.com made it extremely easy to add a new User class. Just click "Add Class" and choose "User" to create it. Now that you have a user, we can make the application more secure by setting some class-level access permissions. This will prevent others from adding new fields to the table. 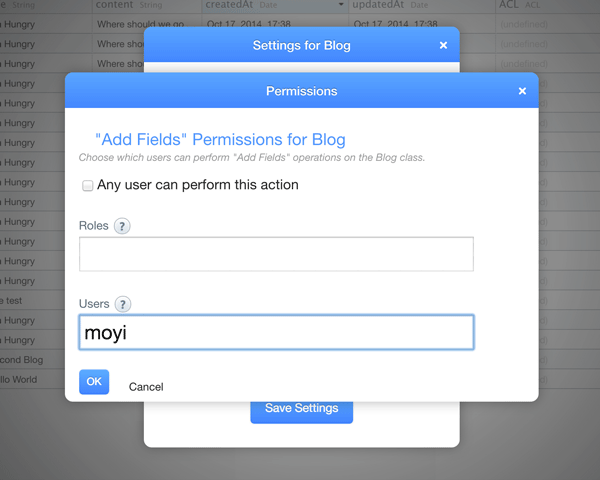 Similarly, go to the User table and limit the "Add Fields" permission to yourself too. You can set the rest of the class-level permissions according to your needs, but we will leave it for now. Make sure everything's still working well, and we can now move on to quickly throw together some HTML for a login page. 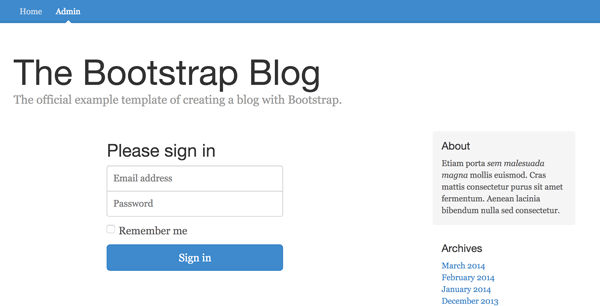 Same old trick, go to http://getbootstrap.com/examples/signin, and copy the HTML of .form-signin into .main-container. And get rid of the "Remember me" checkbox, because we are not planning to get into that in this tutorial. As simple as that: you are now logged in! After you've logged in, you certainly don't want to just see an alert message and stay on the login page. We need to make a welcome screen for the logged-in users. To do that gracefully, we will make both a login and welcome page in Views and serve them with Parse.js. We can keep the welcome view very simple for now. It will just take the user object and display the username. Let's define those views in admin.js. Notice that because LoginView doesn't need to render any object, the render function just puts the template HTML to the DOM. Notice that we changed $(this).serializeArray() to $(e.target).serializeArray(). That's because in this context, this will point to LoginView. Run it again, and it works just like before. Now, let's change the success callback function of login() to render a welcome view using the returned user object. And yay, it surely works! In this session, you've created your second Class: the User Class. You've also created two important views: LoginView and WelcomeView. You also enabled user login on your website, and now you can send a personal welcome message to your users. This is just the starting point of building a blog admin panel. 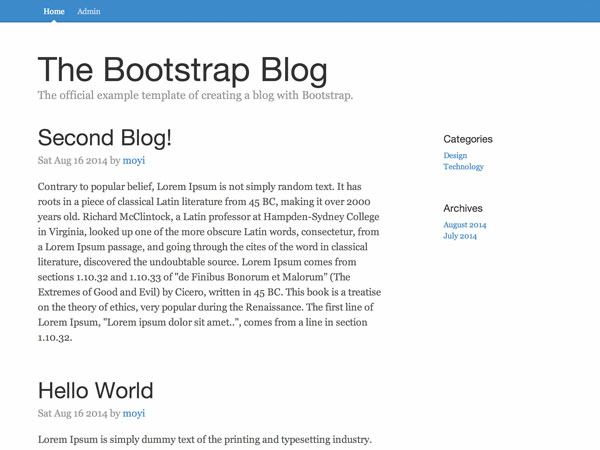 Stay tuned, and in the next tutorial we will create a new view and enable the "Add a new blog" function.